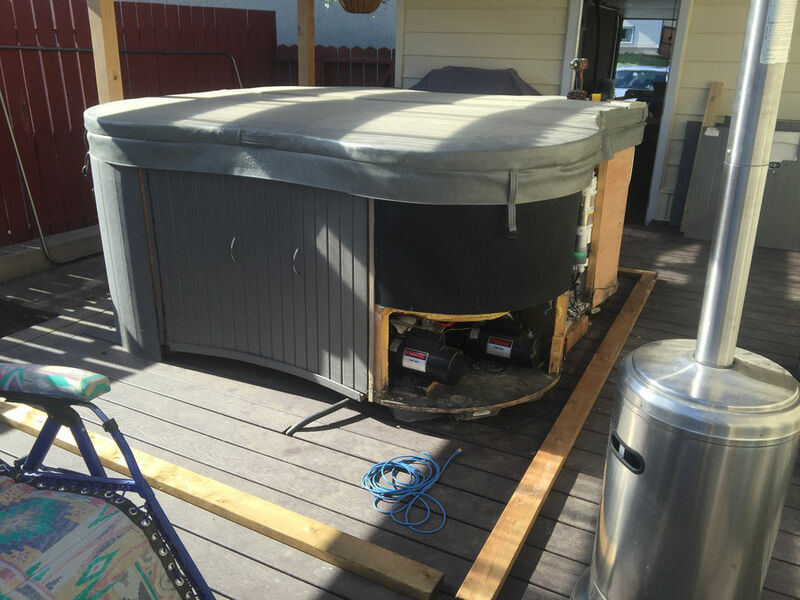 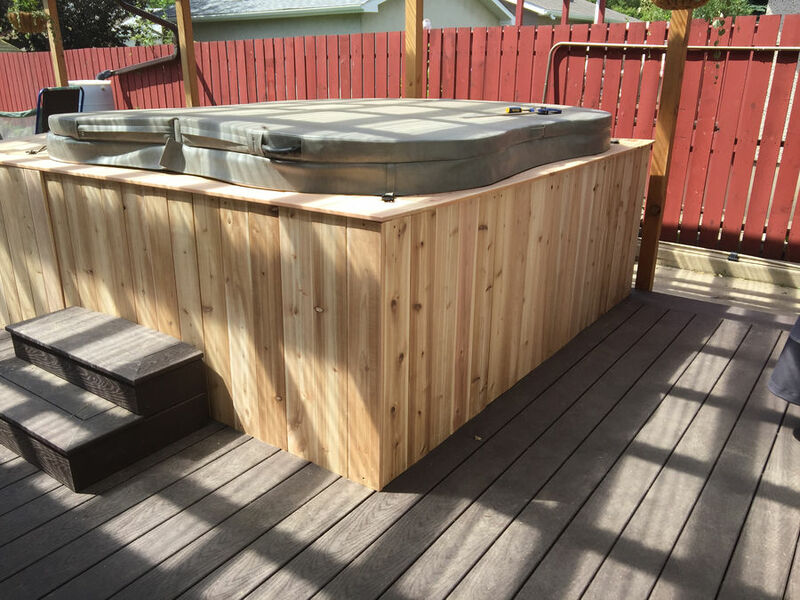 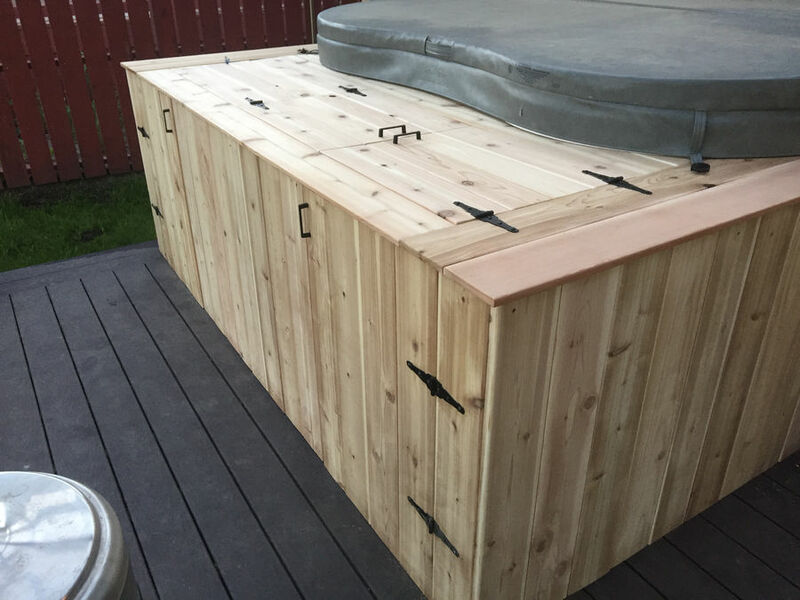 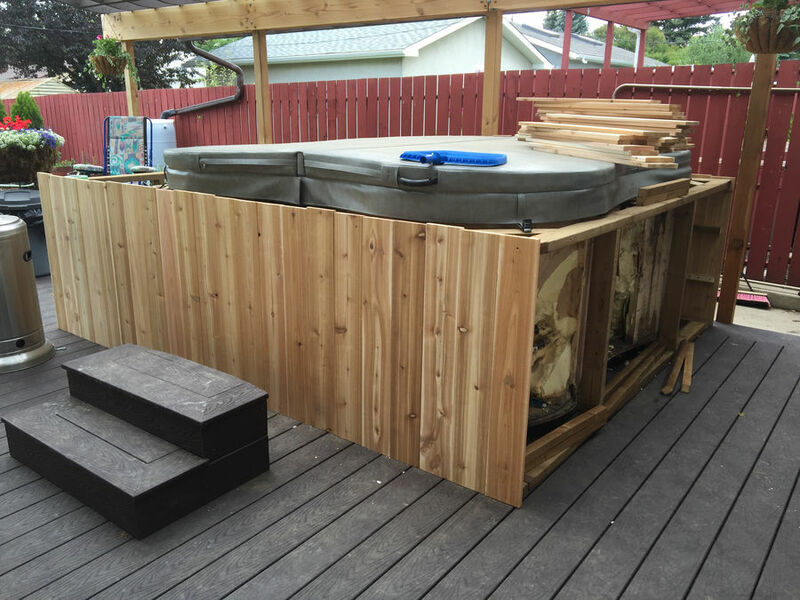 I built a cedar hottub surround with built in cooler after some of the original hottub panels broke. 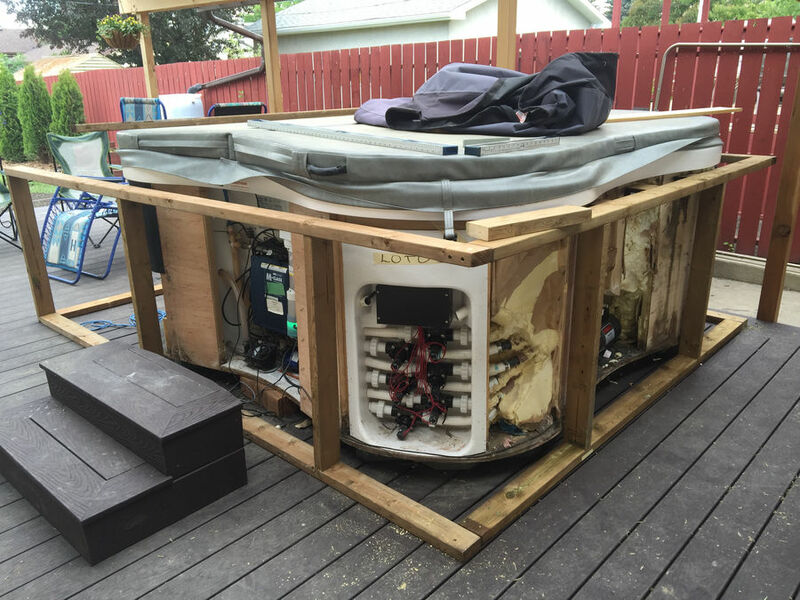 Started by pulling off the old huttub panels and laying out the bottom plates for the frame. 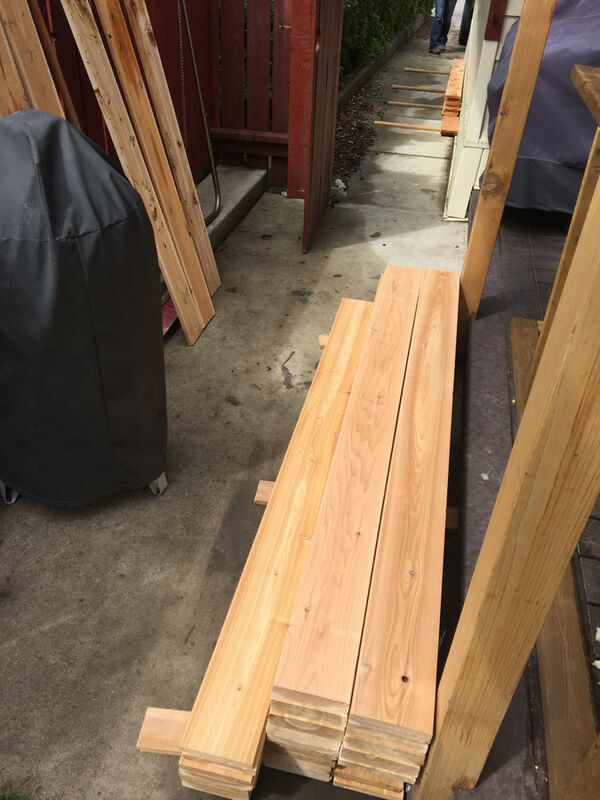 More panels removed and frame layout. 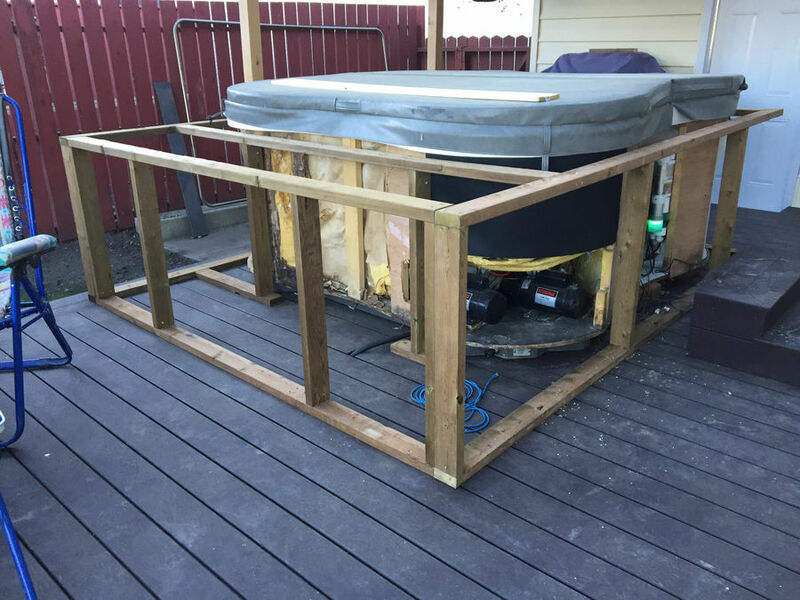 More framing added, created them in sections so that the siding can be built as panels that can be removed to get access to the tub internals. 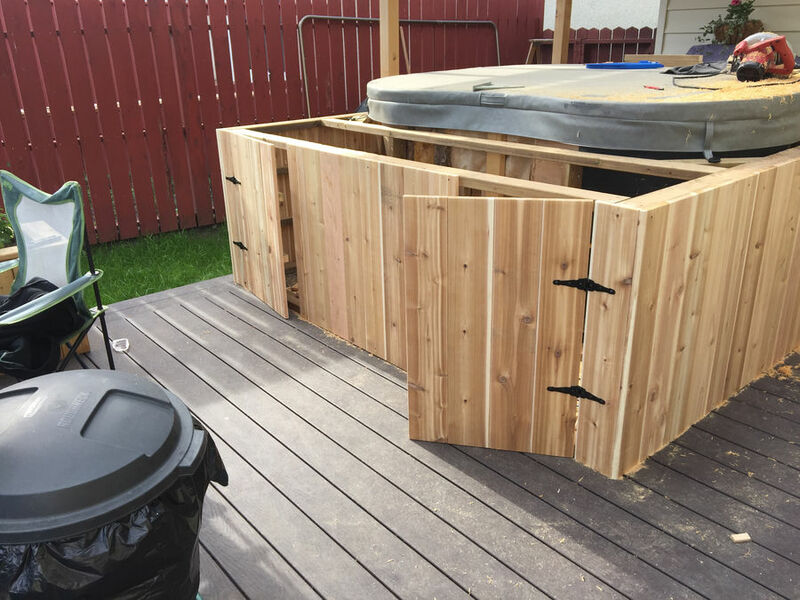 Exended the surround to include space for a built in cooler, storage and a place for a TV for watching NFL redzone. 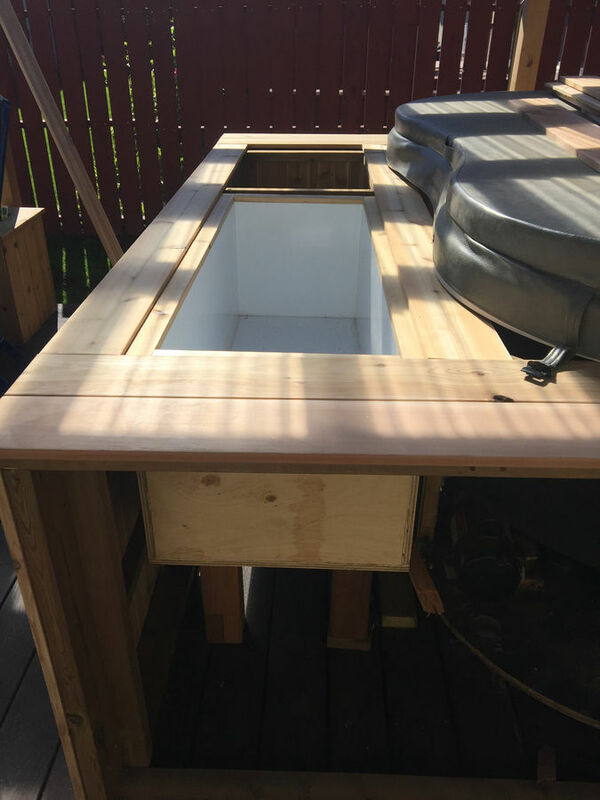 Start of the custom buit cooler. 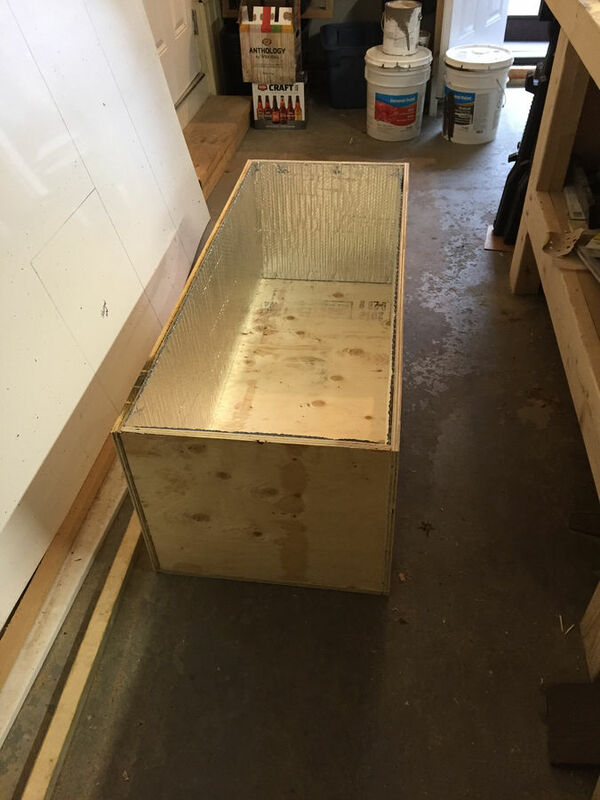 Plywood box lined with reflective foil insulation, it was then lined with 1/2" rigid insulation and then covered with puck board and seams siliconed. 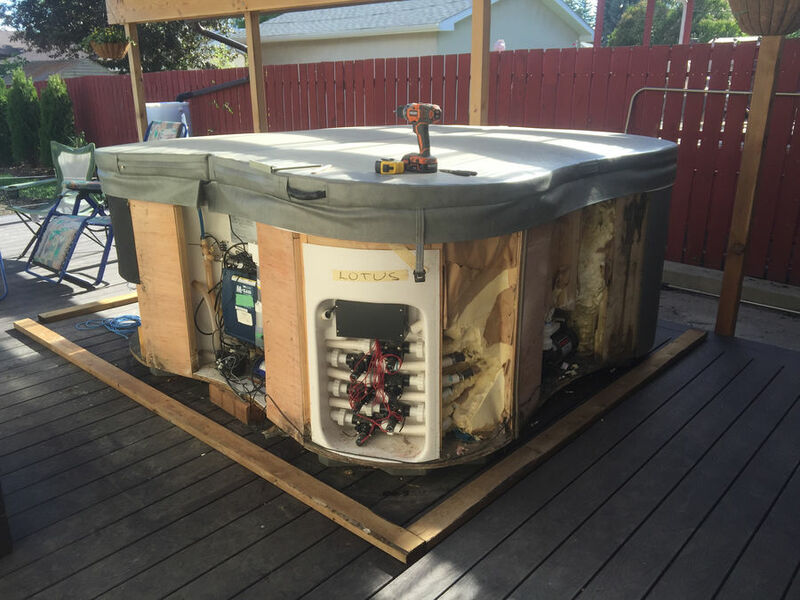 Test fitting the cooler after it was built. 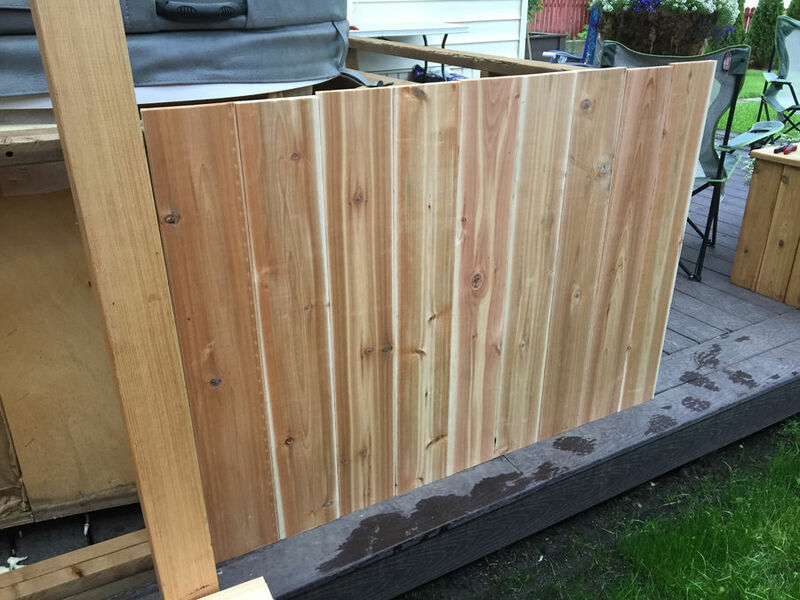 one of the back side panels built and test fit but not finished. 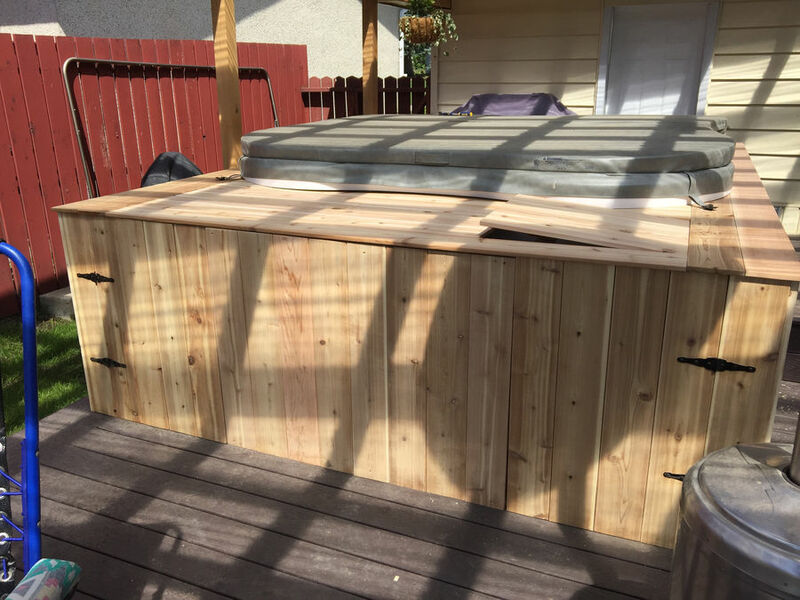 Front side panels built and fitted. 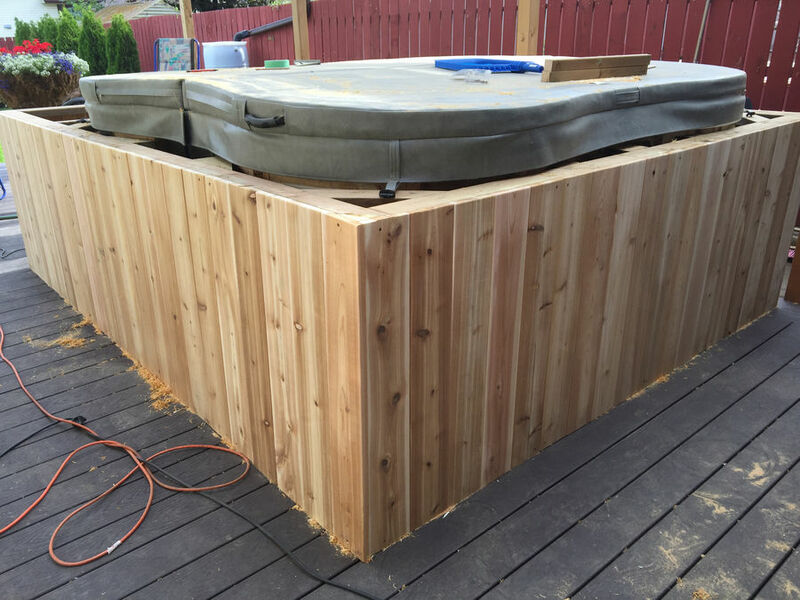 Cooler in to fit the top boards. 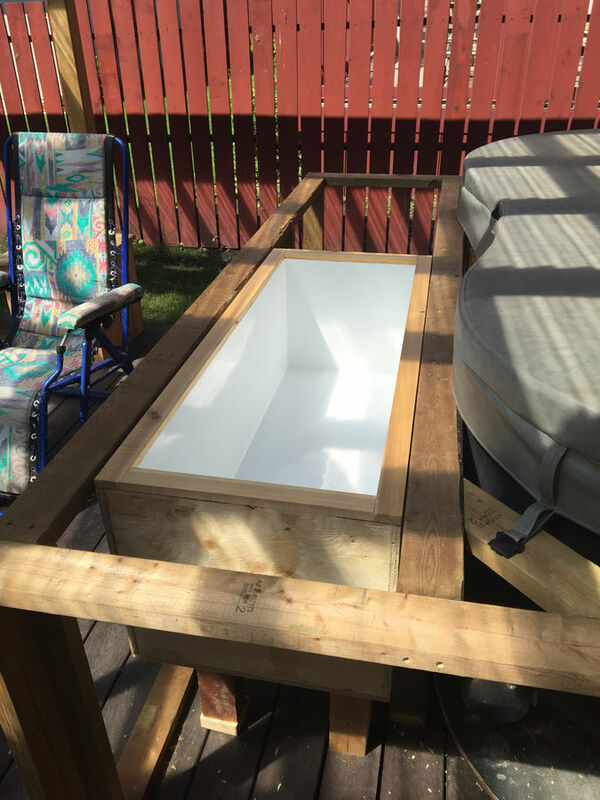 Cooler is easily removable, has a bulkhead in the close left corner for draining and holds ice for 36+ hours. 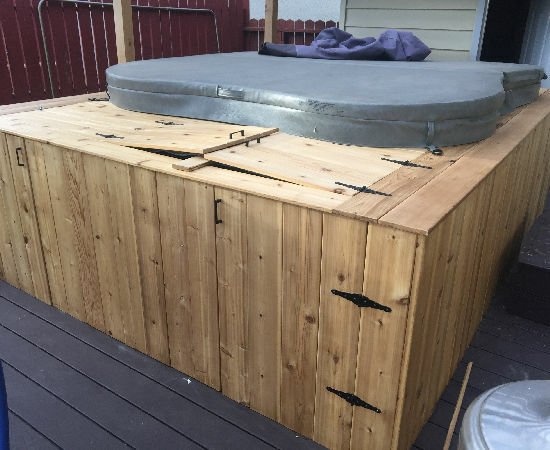 Almost done, just need some hardware.